e3 Civic High School pushes the boundaries of sustainable design with an innovative environment in an urban area. 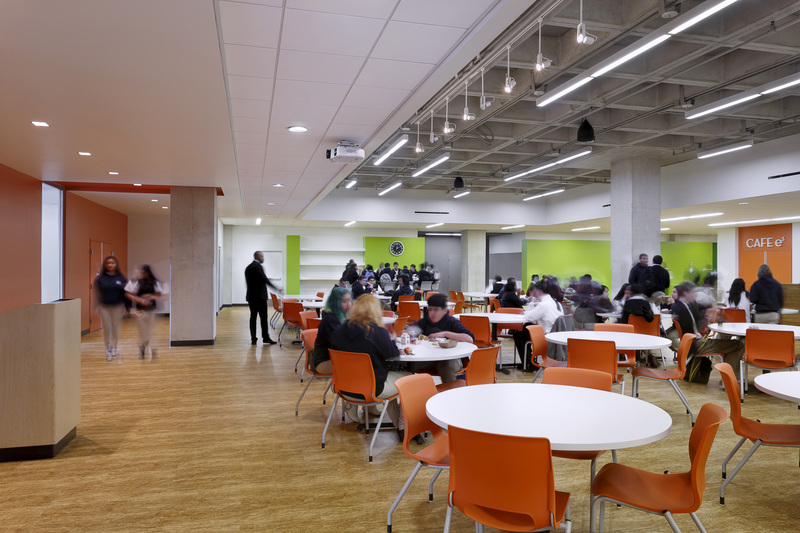 Thought to be the first school in the nation to be located in a public library, San Diego’s e3 Civic High is a LEED Gold learning environment. 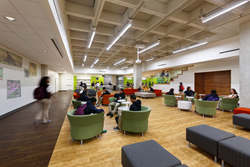 The recognition of e3 Civic High by a jury of both educators and architects celebrates the collaborative design effort necessary to rethink how students could engage in learning in an exciting and vibrant environment. The Coalition for Adequate School Housing (CASH) and the American Institute of Architects California Council (AIACC) recently announced LPA-designed e3 Civic High School has the distinction of receiving an award of honor. Founded in 1965, LPA has more than 250 employees with offices in Irvine, Roseville, San Diego and San Jose, California and San Antonio, Texas. The firm provides services in architecture, sustainability, planning, interior design, landscape architecture, engineering, and graphics. There is no “Sustainability Director,” at LPA. Instead, more than 80 percent of the professionals are LEED accredited, including the Human Resources Director, CFO, and several other support staff. 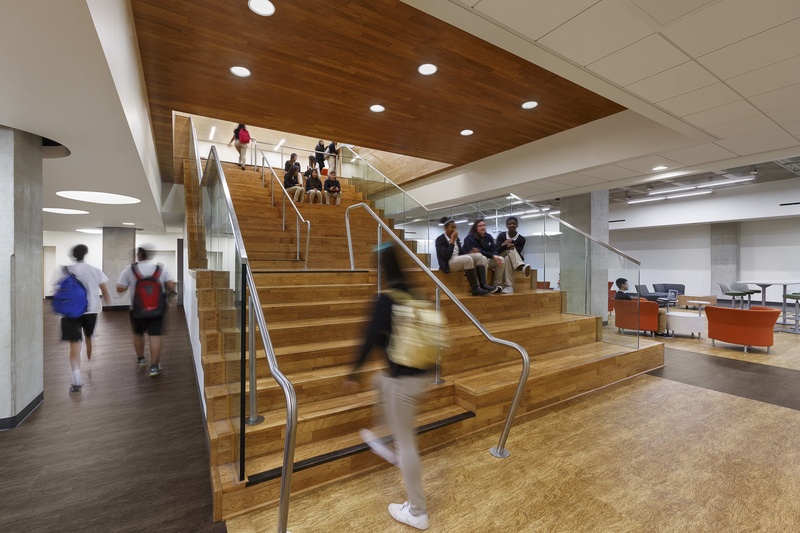 With extensive experience in public and private architecture, LPA designs a diversity of facilities that span from K-12 Schools, colleges and universities to corporate and civic establishments. More than 600 major design awards attest to LPA’s commitment to design excellence. For more information, visit LPAinc.com. The co-location of a school within a library offers extensive collaboration opportunities, as both support lifelong learning and literacy. 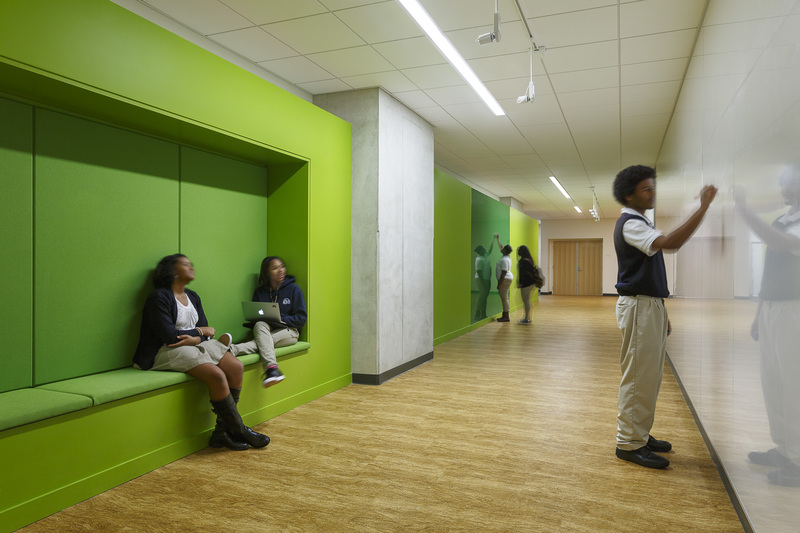 The charter school is a project-based learning environment with spaces that support and inspire collaborative education and project development. 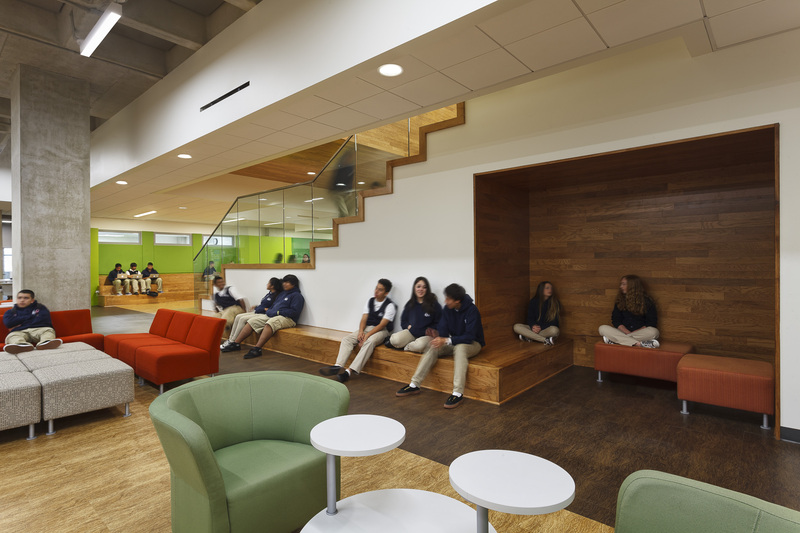 The design uses highly-recycled and low maintenance materials, highly-efficient building systems and open areas having multiple uses The central staircase doubles as an additional social learning space in the school.